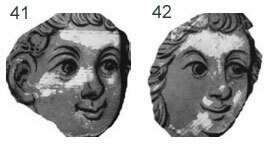 You recognised the Virgin Mary immediately, and 61% of the survey results picked her out correctly by face alone, which was very impressive! 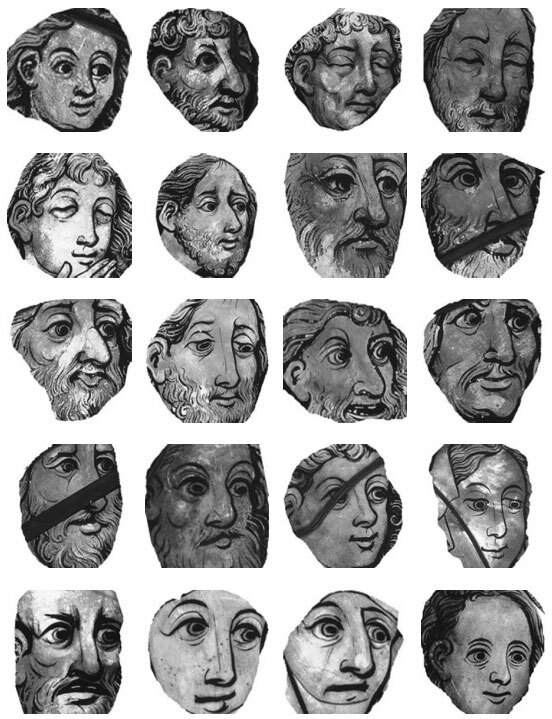 Apart from the devil, I found recognising the faces extremely difficult. 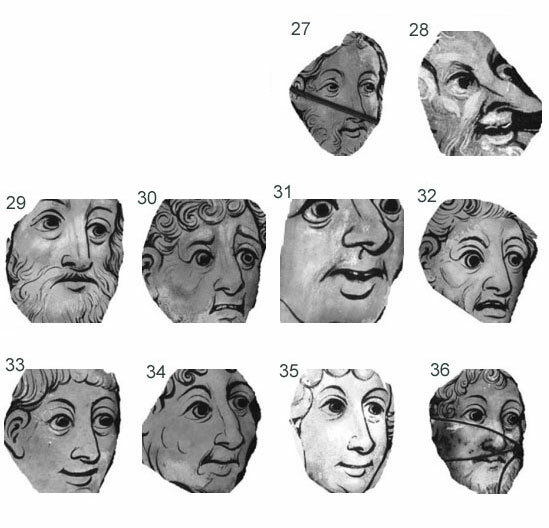 Especially the faces of God and Jesus which were harder to distinguish from the many faces of the good and the pious depicted in the Boppard panels. 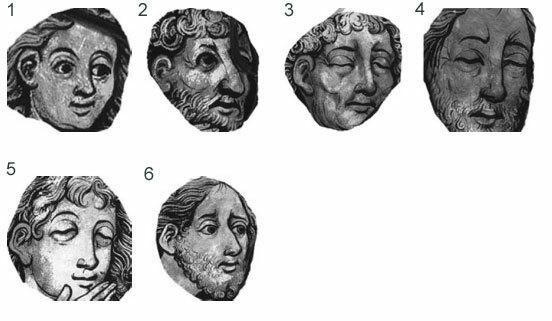 There is a cartoon-like feel to the Boppard faces, which brings them to life in my opinion – what do you think? They remind me of the English angels (Oxford and Norwich Schools) of a similar date, such as the ones below. 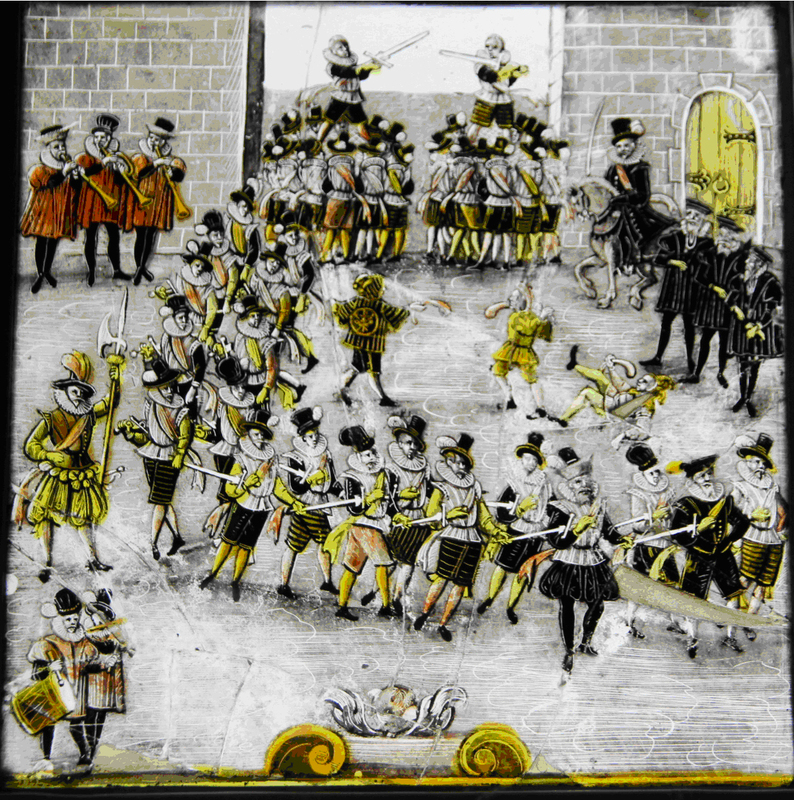 The section of painted glass below was severely damaged at some point in it’s history – perhaps by a stone thrown into the window. 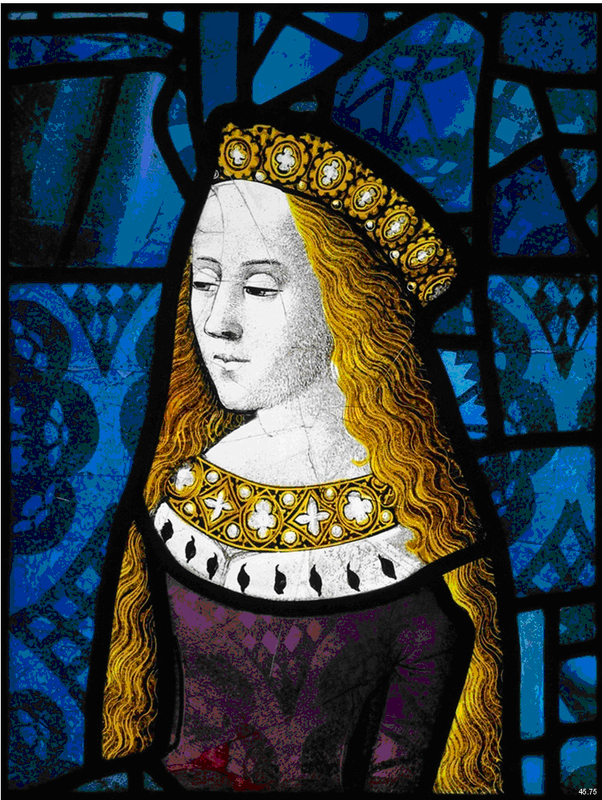 The glass shattered into many small sections and yet the glaziers commissioned with the repair decided to keep the glass and repair the damage rather than replace the whole section. 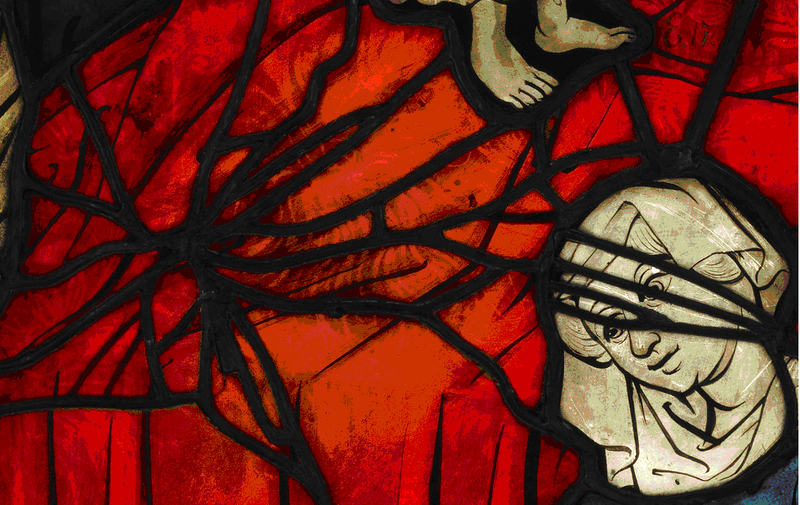 To replace a large piece of mouthblown red glass would simply have cost too much. 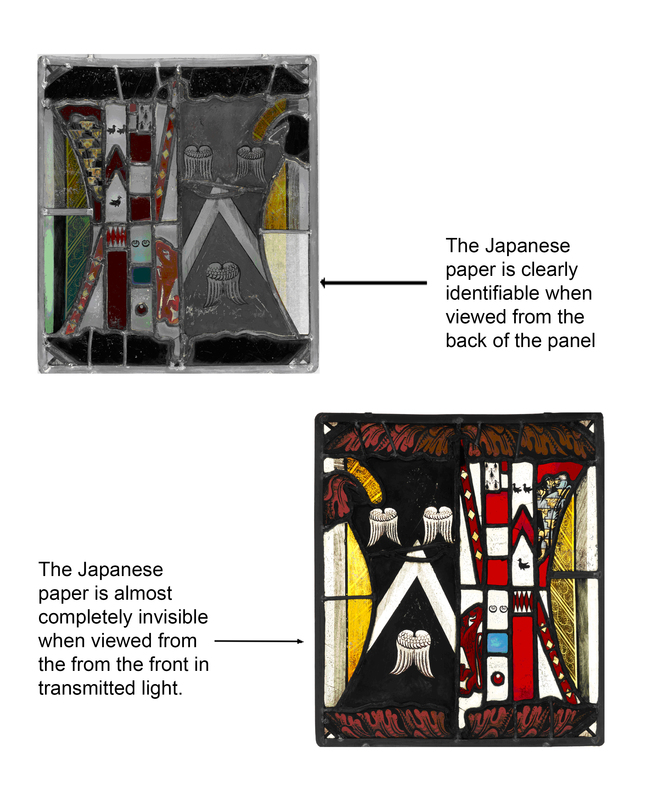 Instead, the glaziers dismantled the whole panel and re-leaded it, incorporating the broken section into the lead network. 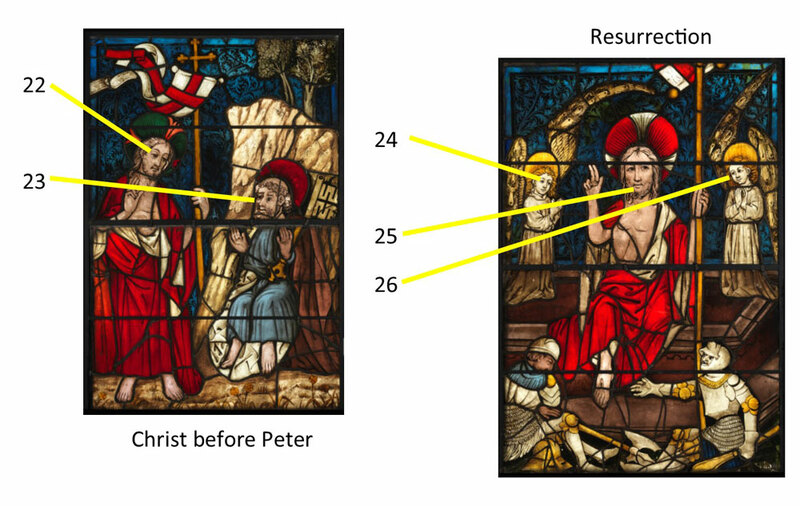 They would have had to reduce each glass piece by a few millimetres to accommodate the lead. This has caused irreversible damage to the panel. 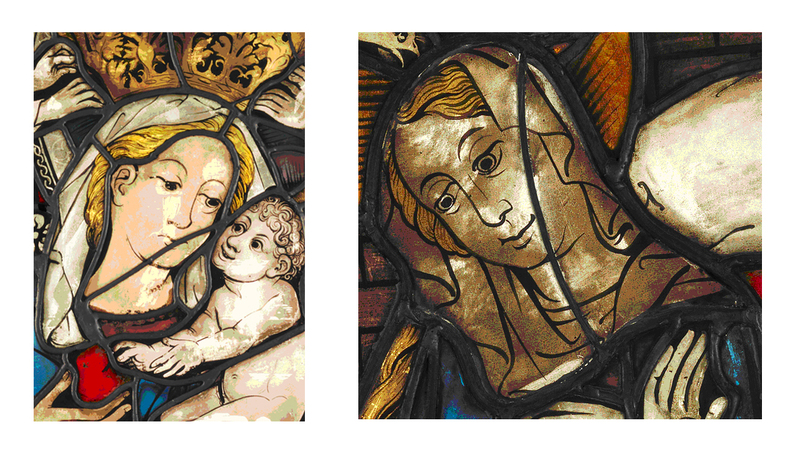 Repairs using lead are very durable but they interfere with the image and the original design. 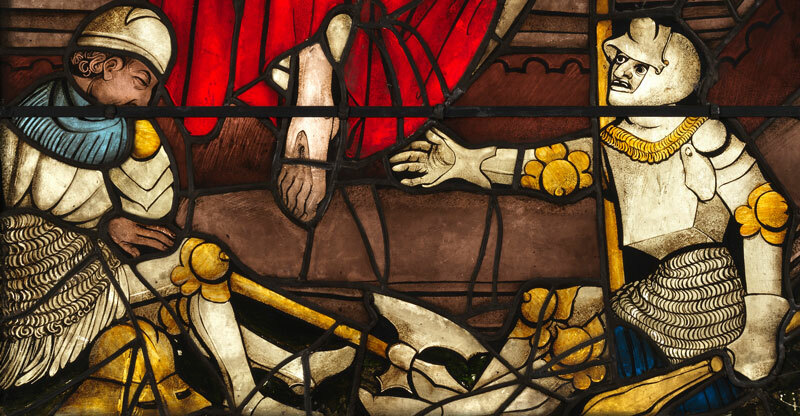 In order to fit them, the edge of each glass piece has to be grozed – this is irreversible and therefore not something a conservator would do today. Strap leads are a good alternative to inserting a whole lead as they are more reversible. A strip of lead is placed across the fracture and soldered to the surrounding leads and puttied into place. Strap leads can provide good support to broken glass but they also interfere with the image and the design of a window. The repair is usually very durable but can become weak, especially if the putty has become dry and crumbly. The putty applied to the glass surface can damage the paintwork – as it dries it shrinks and if it is well adhered it can pull away part of the paint. Repairs using modern adhesives such as epoxy resins can produce aesthetically pleasing repairs which are far less noticeable than a repair- or strap lead. 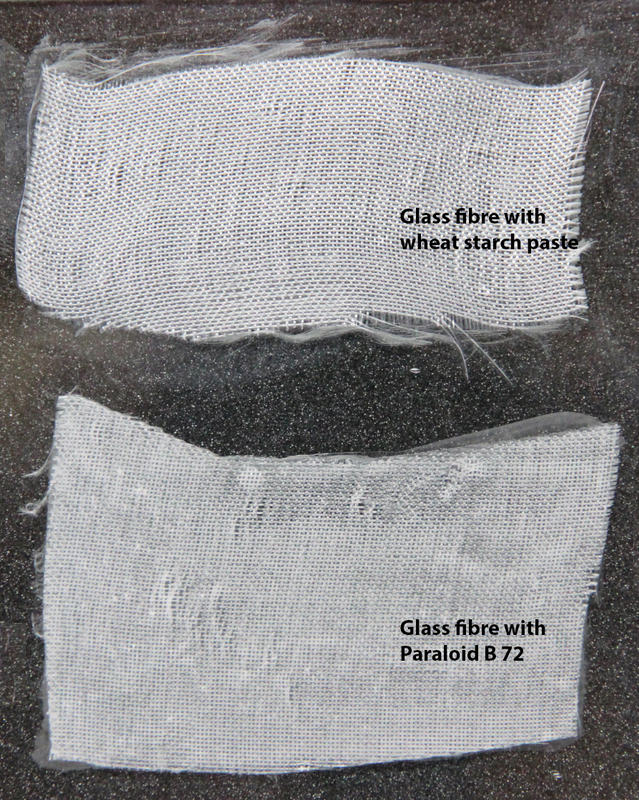 Resins can be tinted to match the glass colour and they can be formulated to have a similar refractive index to glass. In the hands of an expert restorer the result can be an almost invisible repair. 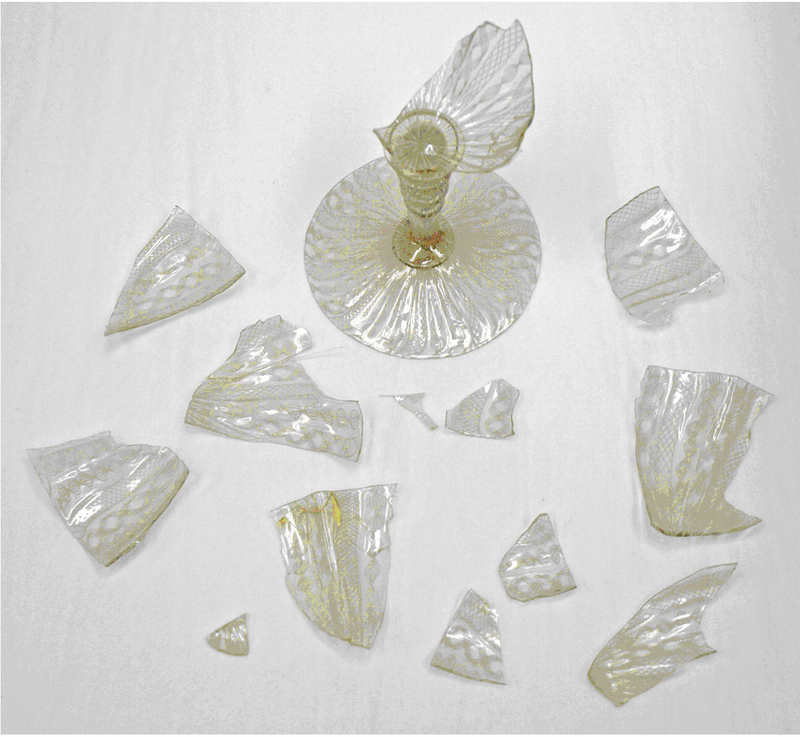 Resins were introduced to glass conservators around 1975. 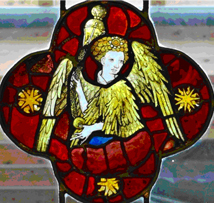 For many years resins were extensively used to repair broken glass and the aim of this kind of restoration treatment was to improve the appearance of stained glass and to “restore it to it’s former glory”. 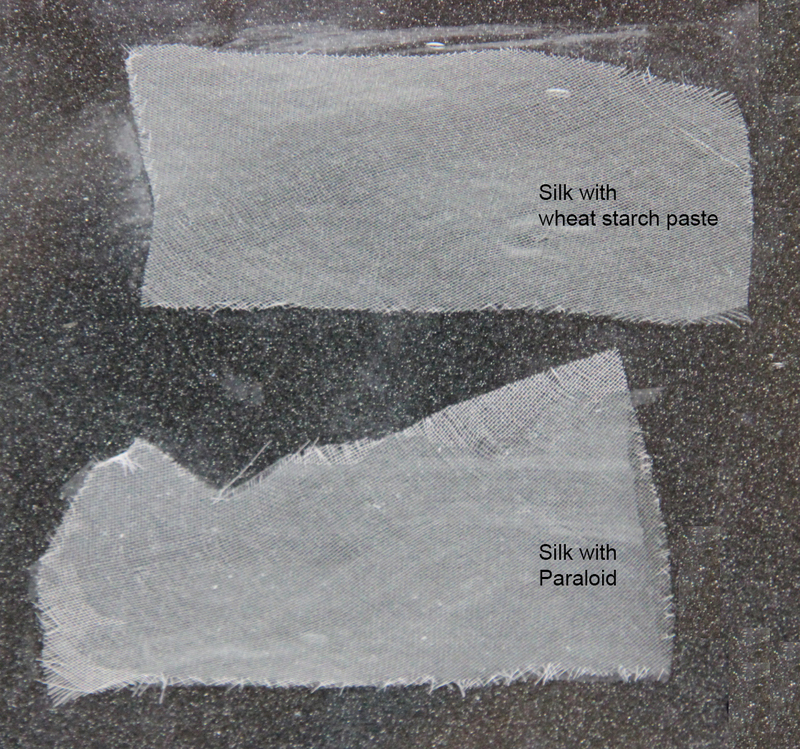 However there are increasing concerns about issues surrounding durability, aging characteristics and reversibility. 30 years down the line we are seeing many resins yellowing and also becoming brittle and failing. The Venetian Tazza, or cup, below was repaired with a resin called Ablebond in 1987. 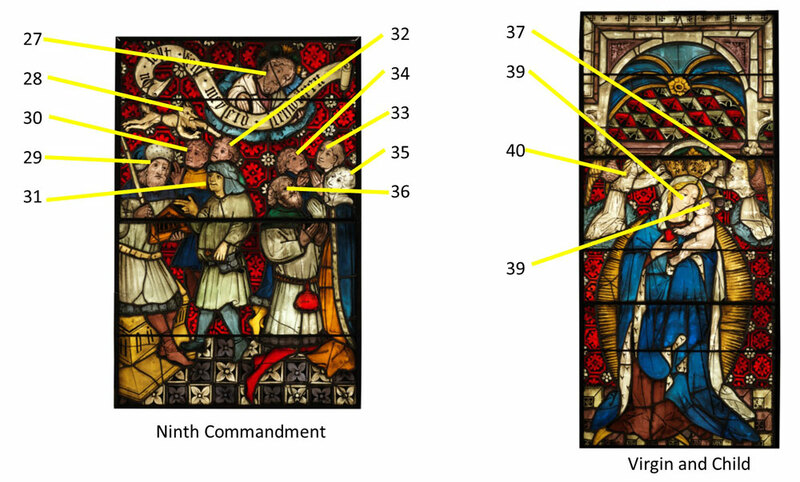 Ablebond was also used a lot in stained glass conservation. 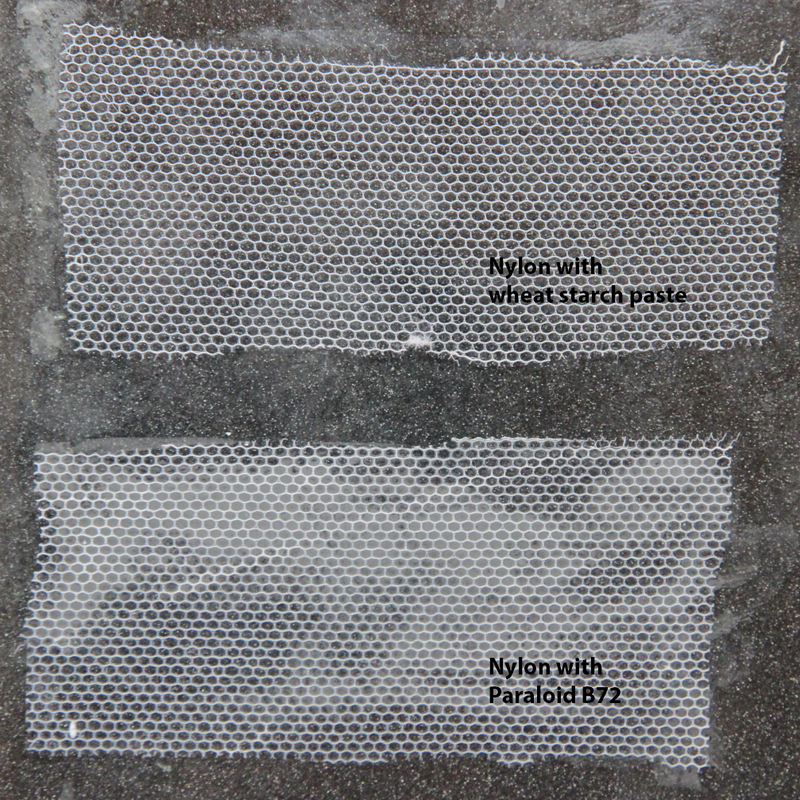 The resin produced a good finish when first used but has become dry and brittle over time, and degraded to the point where the bond failed completely. 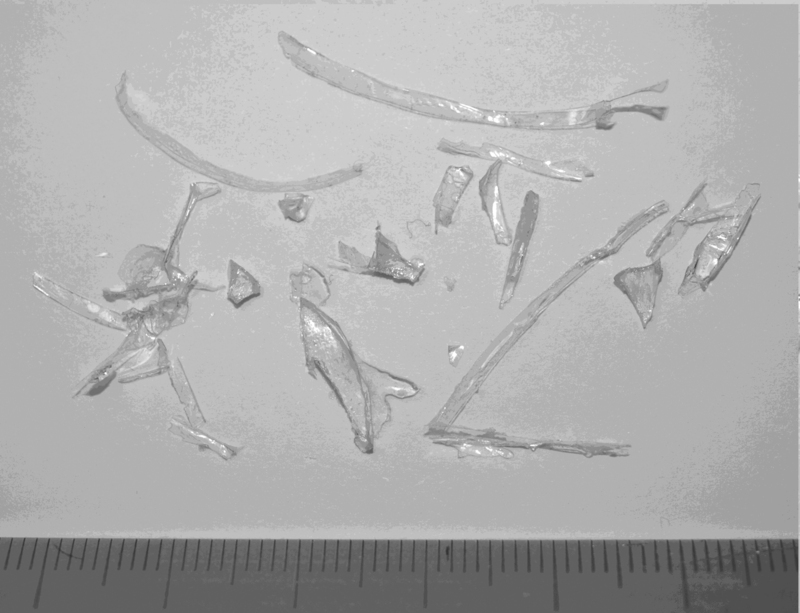 The remaining resin was removed so the cup could be conserved, and was found to be very yellowed and brittle (see image below). 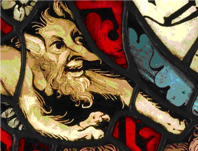 These repairs were not so successful – the stained glass was very badly damaged already and there were many losses (including those that had been caused by grozing the edges of the glass to fit the repair leads). A lot of resin had to be used to infill the gaps and over 26 years the resin has yellowed and become brittle. The whole treatment will have to be redone in the coming years. As part of the Boppard Project we have considered alternative options alongside these for repairing or consolidating glass fractures. 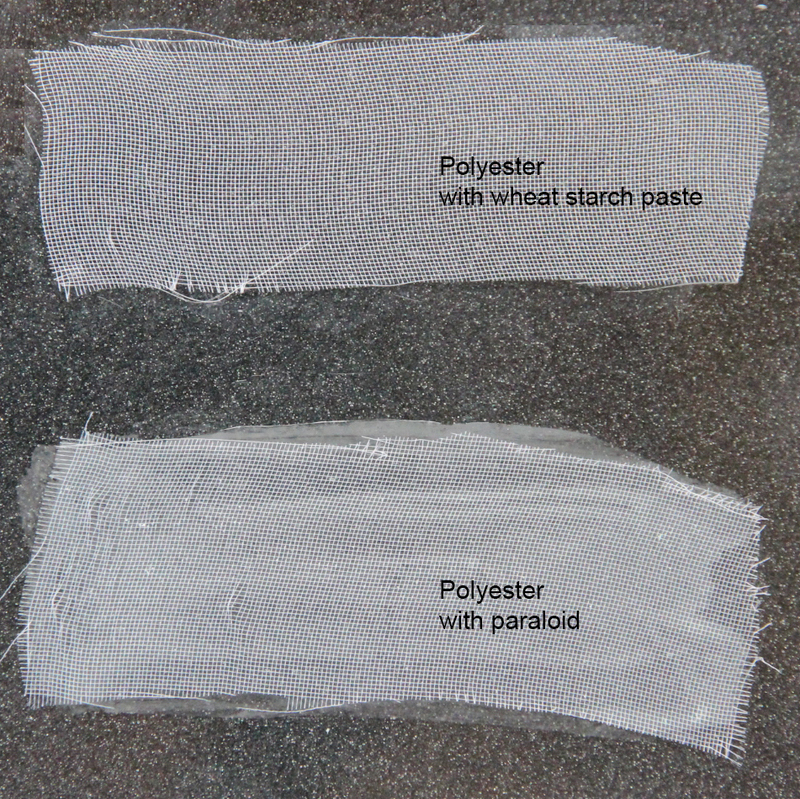 We have tested a couple of methods, based on their potential for providing support with minimal intervention and ease of reversibility, inspired by techniques seen in other studios and conservation disciplines. We will be looking at these in more detail in our next blog. 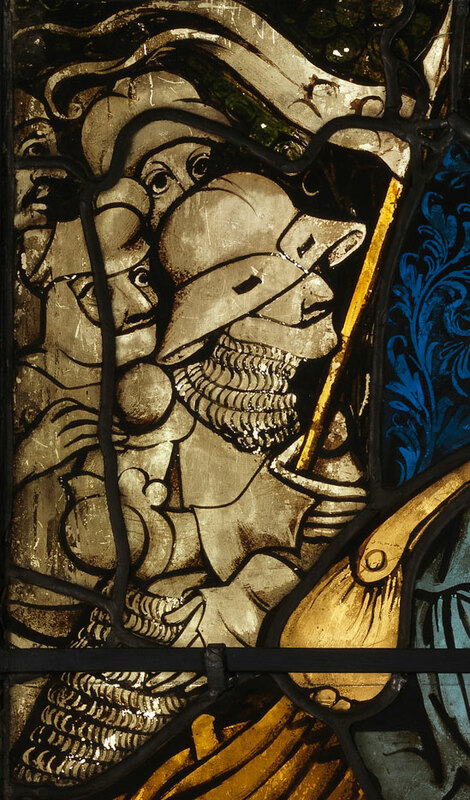 Men in armour are a frequent sight in medieval art, including stained glass, and provide an invaluable source of information to those studying arms and armour. Since it is made of steel that rusts or can be recycled or reused, relatively little of the original plate armour remains, and even rarer are the leather straps and pins that held the pieces together. 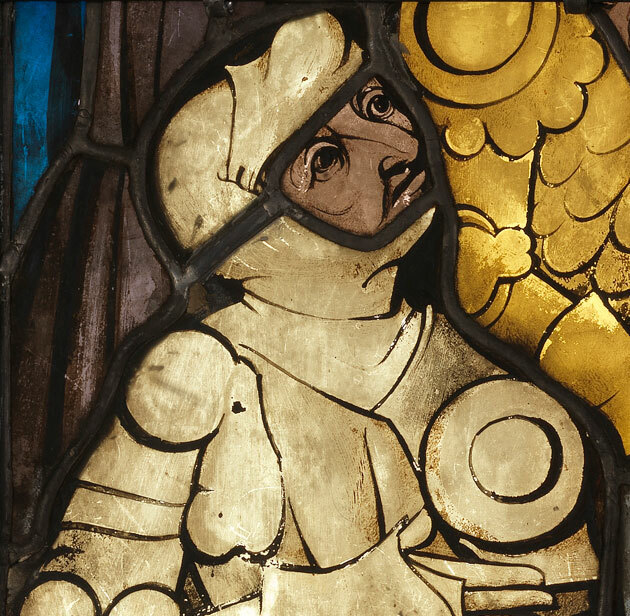 Images of armour found in stained glass, paintings, tombs and brasses, give vital insight into the the details of the armour and the way in which it was worn. 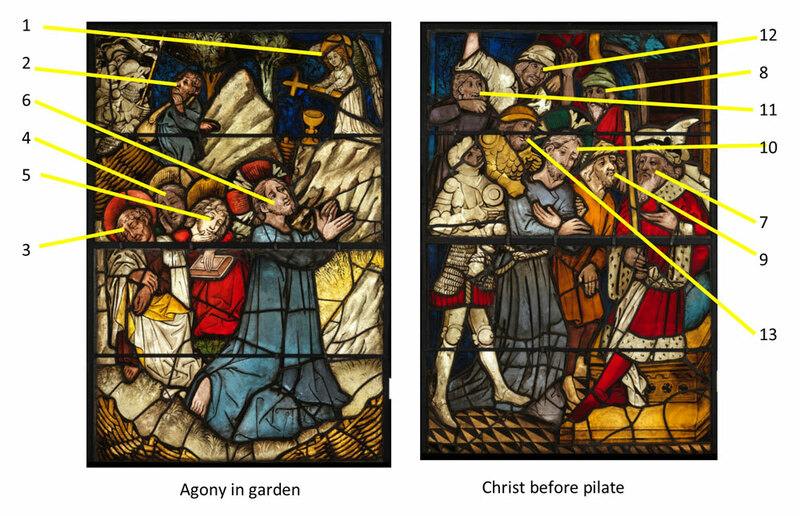 There are three main images of armed men in the Burrell Collection Boppard windows, appearing in the Agony in the Garden, Christ before Pilate and Resurrection panels, as shown below. 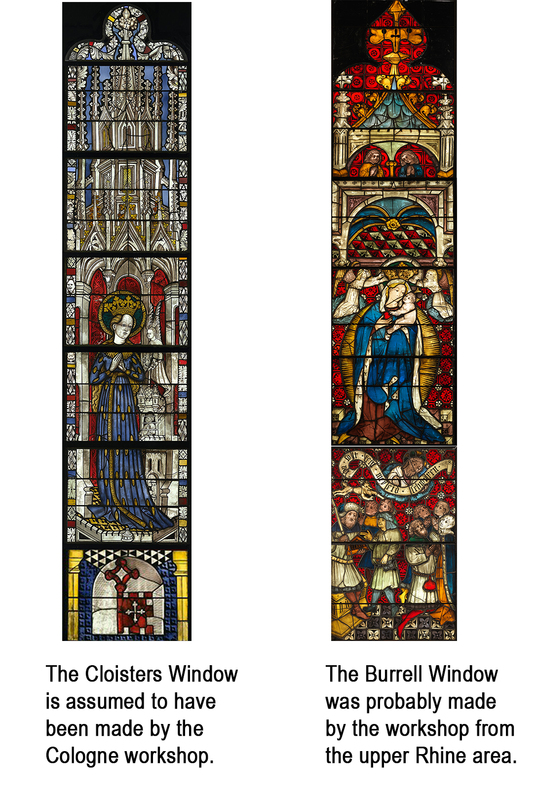 At the time the Boppard windows were painted (early 15th century), the two most important areas of fine armour production were Germany and Italy (mainly Milan). It is also an important period in armour design, with the transition into full body armour and plate armour. The detail from Agony in the Garden shows a man wearing a sallet (a war helmet) and a kind of bevor or aventail. 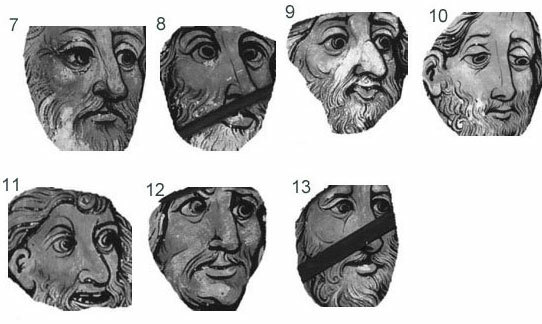 The bevor worn with a sallet, protected the throat and neck and was made of solid plate or lames (overlapping strips of steel held together with leather straps to which they were riveted). Interestingly, in this case it would appear that the chin area is in solid plate, but the throat and neck protection are in mail. This would require the bevor to be held in position by attachment to the sallet with straps. In battle, he would pull the sallet down to protect his face, looking through the two slits in the helmet. 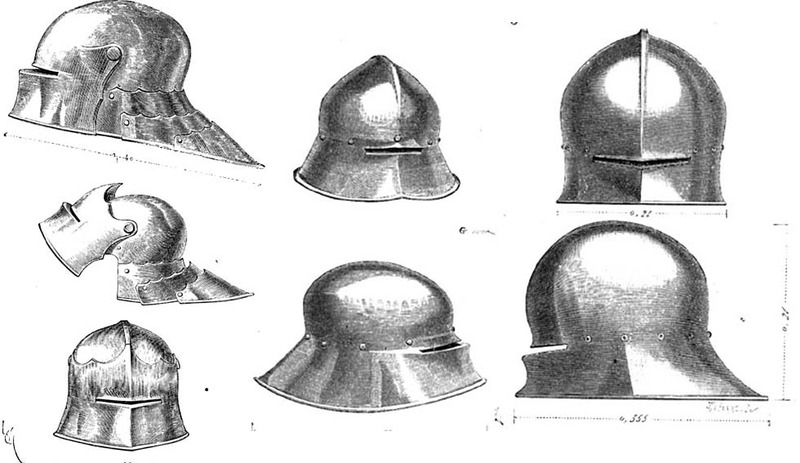 A selection of German sallets is shown in the image below by Eugène Viollet-le-Duc, a 19th century French architect and theorist. St. Quirinus, carved on a German oak stall end from the Lower Rhine late 15th-early 16th century, shown below and on display in the Burrell, is wearing a very similar sallet. This stall end was possibly made by the woodcarver Heinrich Bernts of Kalkar (d.1509). 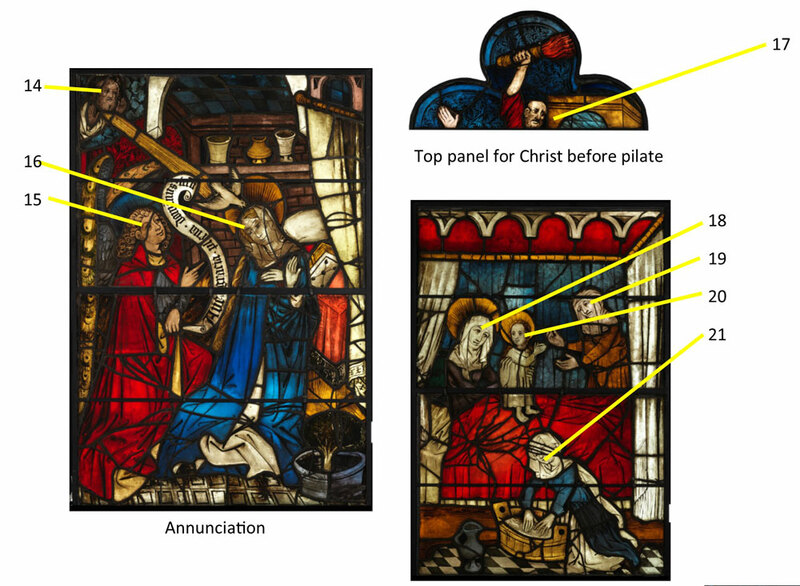 The man in the detail below from Christ before Pilate is wearing a great bassinet, where the helmet, visor, chin and neck protection are all made of plate steel (replacing the mail aventail). 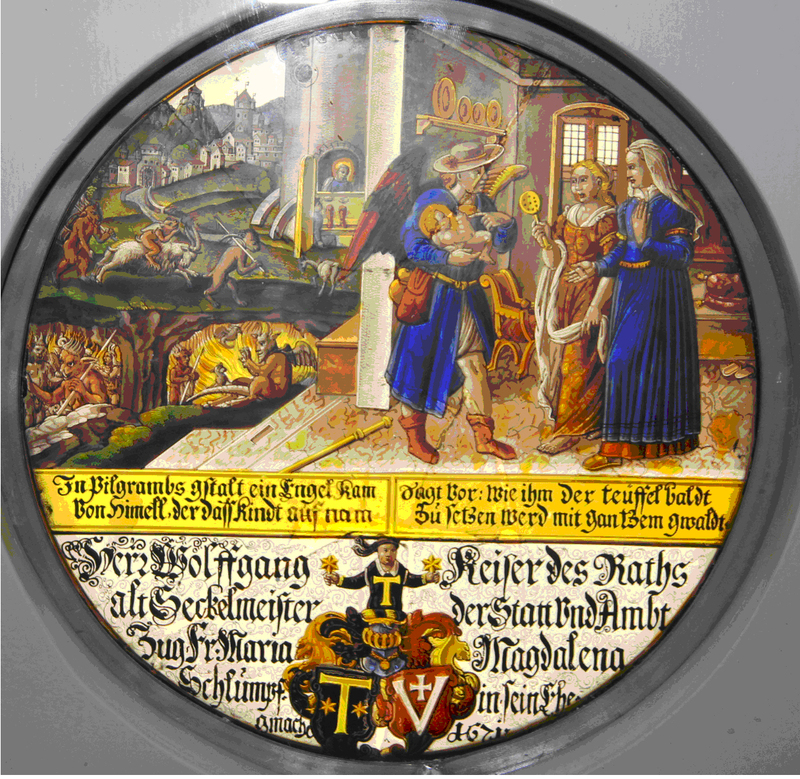 The rounded visor became popular in Germany, as shown in the detail below from a German painting of 1435, by Konrad Witz. 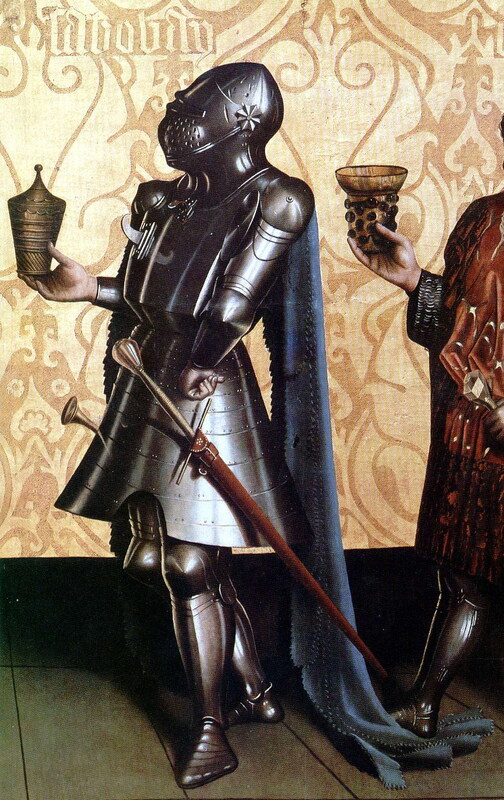 The small circular metal shield (or Besague) worn by our Boppard knight detailed below, just beneath his left shoulder, differs from the leaf shaped protection on the right side as he would have carried a lance under his right arm. 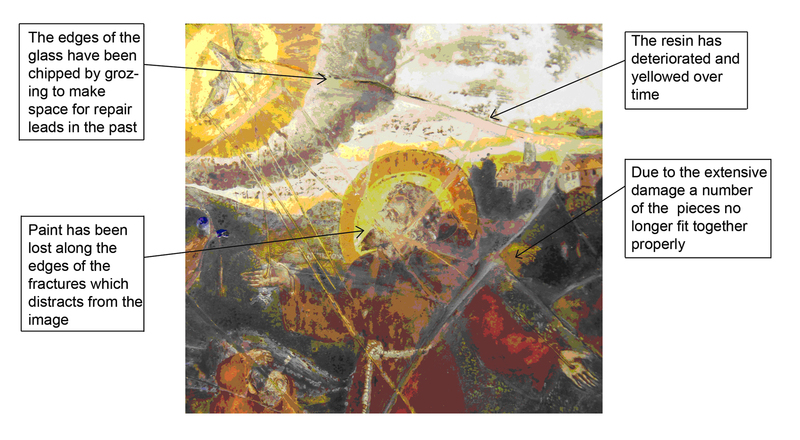 The soldier on the right in the Resurrection panel detailed below, wears a Kastenburst breastplate, with flat surfaces and a sharp angular design. German armour had a more angular design than the more rounded Italian armour, as can be seen in the fabulous Avant Armour in Glasgow’s collection, made in Milan about 1445. All our soldiers wear a mail skirt to protect the lower body. 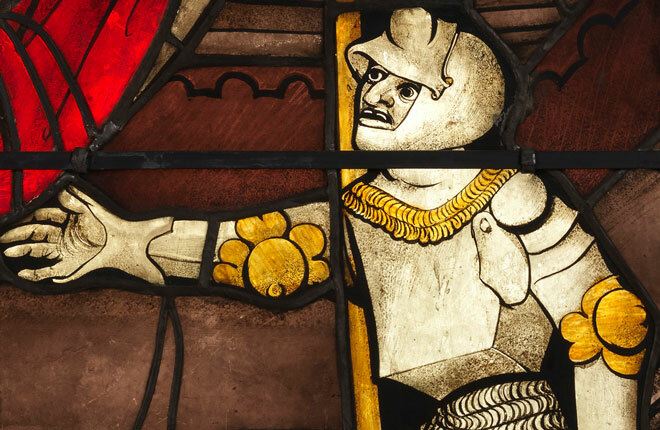 The armour of the soldier on the right is richly decorated with gilding. We need your help! Please take part in the experiment at the bottom of this blog. 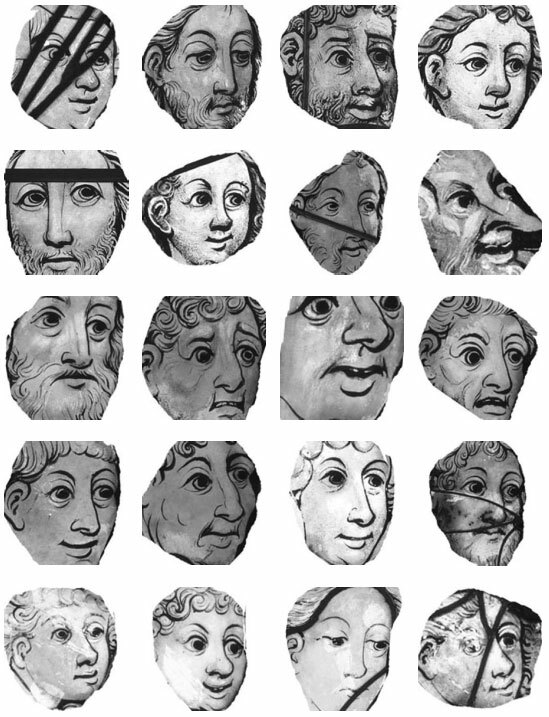 There are over 44 faces in the Burrell Collection Boppard panels, and all display a uniformly consistent style of painting, suggesting that all the panels were painted by the same artist. In the context of the stories displayed in the panels it is easy to discern who is who and the baddies from the goodies. But can you do it from the character of the face alone? We have setup a webpage to allow you to pick out who are the baddies. 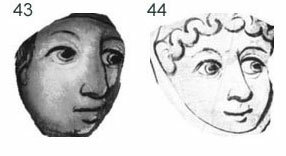 You can also have a go at identifying the faces representing God (2 images), Jesus (3 images), Mary (3 images) and the devil (1 image). You can then submit your choices so we can analyse the results in the first blog in June.